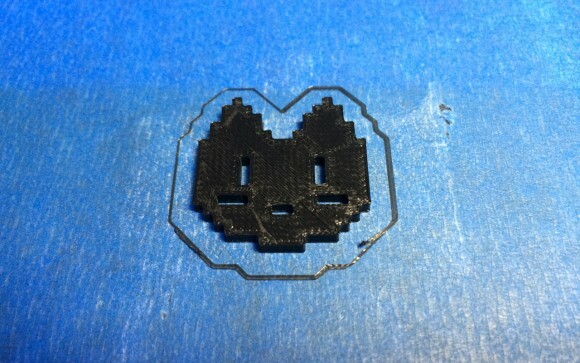 The retro 8-bit game graphics from our childhood or young years does bring some great memories and it is cool to 3D print some cult shapes from back then or maybe create something new. Or maybe you just want to make a 3D version of the favicon of your website or blog to give as a present to readers, the 16×16 pixel grids that favicons use sure do bring some memories of the 8-bit graphic times as well. Even though it sounds simple to design a 3D model of something that is 16×16 pixels with cubes for example, when you try to do so in a traditional 3D modeling software you can easily find it is not that easy as you though. Here comes a nice and very useful web-based tool called Extrudifier that can greatly simplify your quest to turn 2D 8-bit graphics into a 3D printable object and give you an STL 3D model that is ready for printing. Extrudifier is a HTML5 application that enables you to create 8-bit pixel designs that can be exported into 3D models ready for 3D printing. The tool uses a simple and effective approach by providing you with a 16×16 grid where you need to click to make a square black (filled) or leave it white (empty) – it is just like when designing a favorite icon, however even simpler as here you have only a single color. Then you need to set the dimensions of the full objects that you have drawn – width, depth and height, and the software will automatically generate the model in either SCAD format or STL. You can also save and load your designs in a Grid file, so that later on you can modify your designs via the Extrudifier should you need to do so. 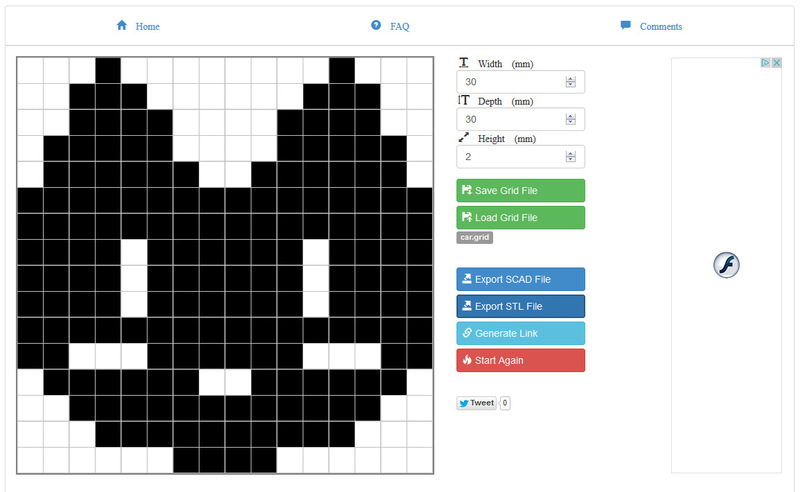 We have designed a cute 8-bit cat face as a test design and it has worked quite well, however we need to mention something important that we have noticed. Sometimes the STL exported models from the Extrudifier tool might not be solids and that can cause you trouble when you try to print them. There is an easy fix if you notice that as an issue when you import the STL file in your 3D printer’s slicing and printing software – you can use the free web-based 3D model repair service from Trinckle that we have already covered. It will automatically detect that your 8-bit graphic design is not a solid 3D model and will fix it providing you with a downloadable STL file with the repaired model. So time to try out printing an 8-bit Alien Invader, a Pac-Man, a Super Mario mushroom or a star and whatever else you might think of could turn out to be a cool 3D printed pixel art. The only drawback is that the Extrudifier does not have support for more than a single color print, but multi-color 3D printing with devices that melt thermoplastics is still a bit of a problem.